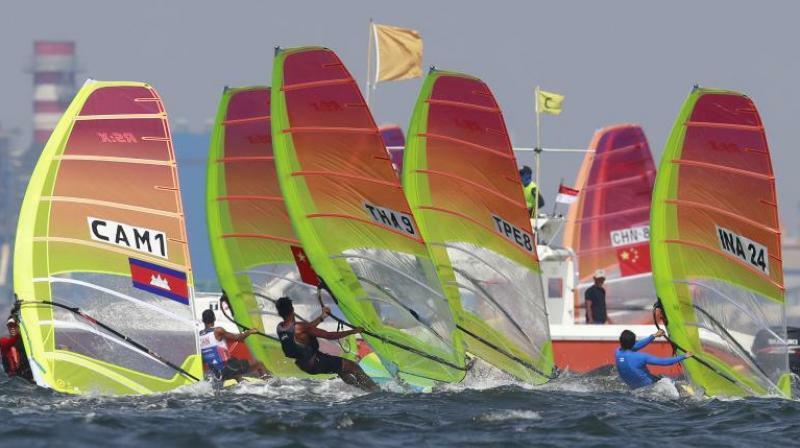 Jakarta: India clinched three medals in sailing with Varsha Gautham and Sweta Shervegar clinching silver in the 49er FX Women’s event and Harshita Tomar claiming bronze in the Open Laser 4.7 at the 18th Asian Games here on Friday. Varun Thakkar Ashok and Chengappa Ganapathy Kelapanda won bronze with a total of 53 after race 15 in the 49er men’s event. The 20-year-old Varsha and 27-year-old Sweta combined to produce a total score of 40 after 15 races to finish second at the Indonesia National Sailing Centre here 16-year-old Harshita totalled 62 after race 12 to finish third. “It is a great feeling to win a medal for the country. I can’t explain it. It has been a great learning experience for me,” Harshita, a former swimmer, said after winning the medal.